When I released the Requiem ebook and paperback, I said that I had never been more proud of a book than I was of this one. That's even more true today, with Pyper Down bringing this conclusion to life in so many beautiful, touching ways. I'm incredibly grateful for her talent and her hard work - which is why I'm thrilled to announce that she has agreed to narrate the audiobooks for Asterion Noir as well! I can't wait to hear what she does with these exciting new voices and new worlds. New to audiobooks? 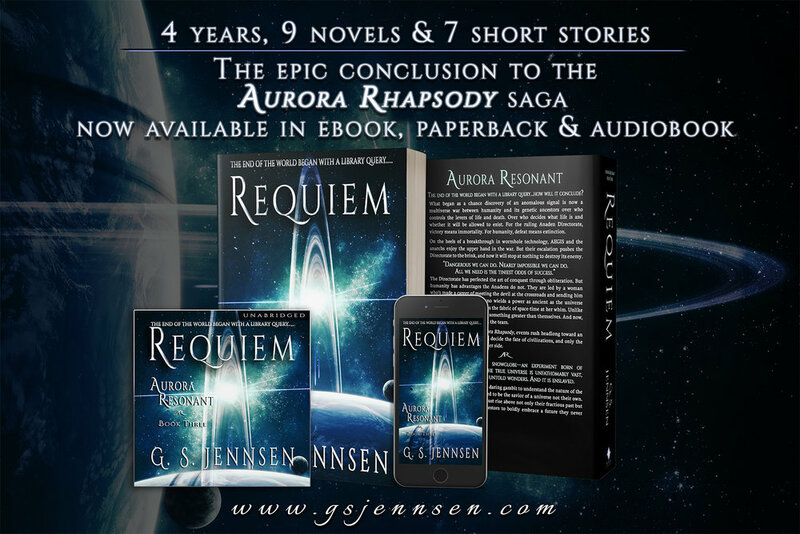 You can find all the Aurora Rhapsody novels on Amazon, Audible and iTunes, and feel free to contact me at gs@gsjennsen.com if you have any questions.